1. Clean & cut the long splits in the chicken pieces. 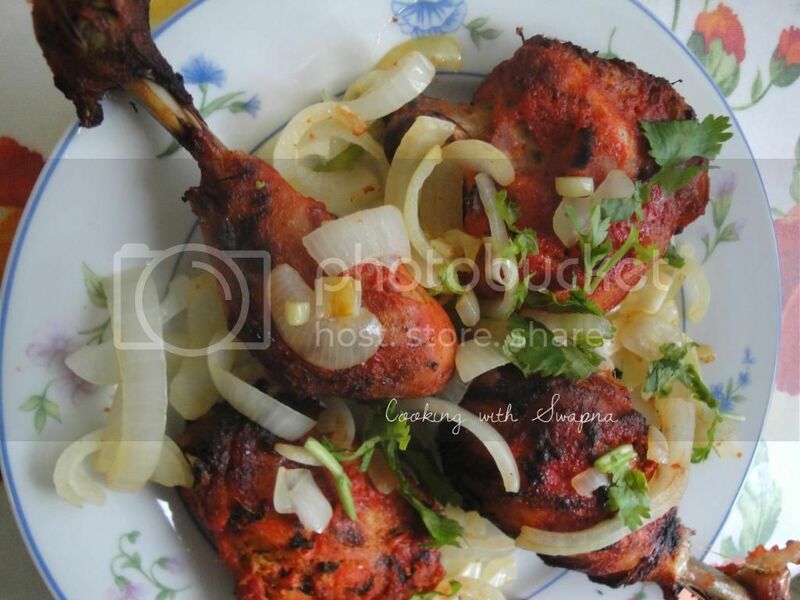 Mix together the lemon juice, chilly powder - 1 tsp & salt and apply it over the chicken & set aside for 15 mins. 2. Meanwhile mix together yoghurt, red chillypowder, coriander powder, garam masala, cumin powder, kastoori methi, turmeric powder, ginger garlic paste, pepper powder, salt to taste & red color. 3. 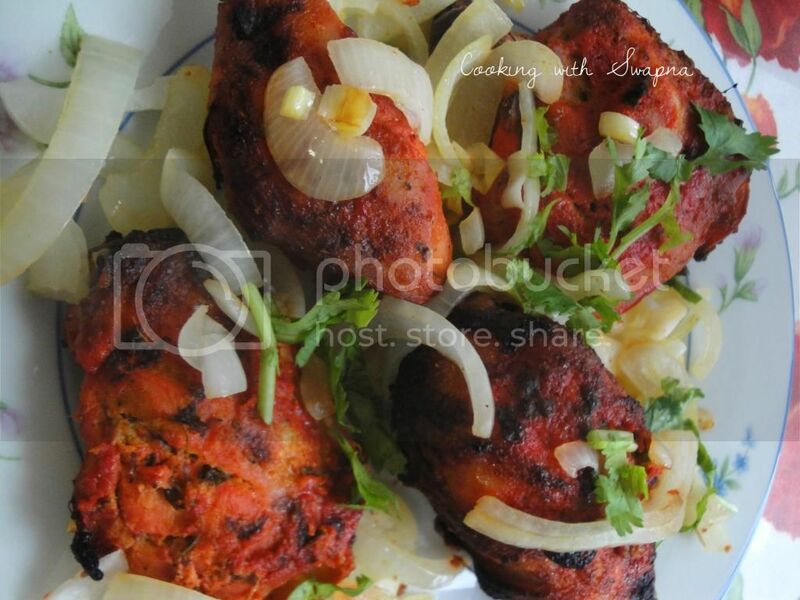 Apply this marination over the chicken pieces & set aside for at least one hour. 4. Preheat the oven to 425 F and cook it for 35 mins or until done. 5. 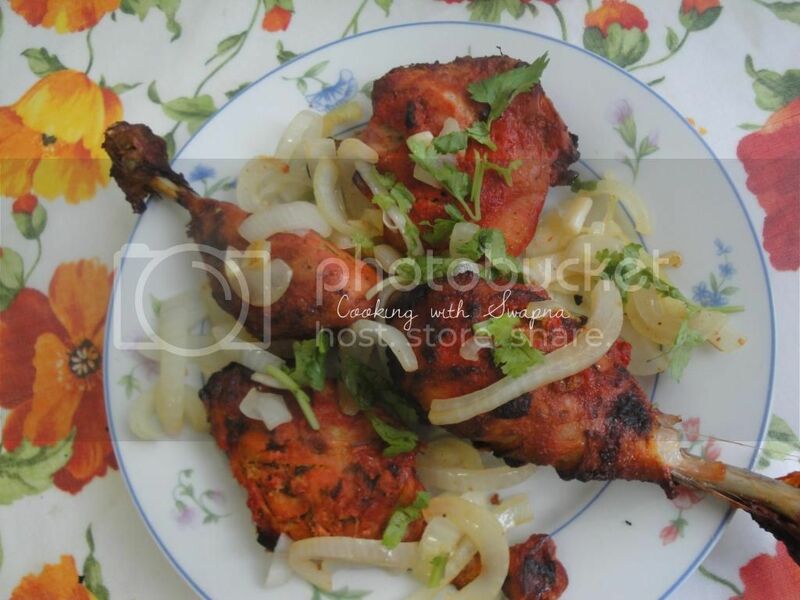 Serve the tandoori chicken with the shallow fried onion slices & coriander leaves.